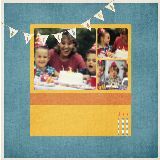 It is hard to believe that Scrapbook Flair is turning 8 this year. This Birthday Cake Collection from Lynneyboo is filled with bows and balloons. You are never too old to celebrate your birthday with a piece of cake or a cupcake. So feel free to endulge. 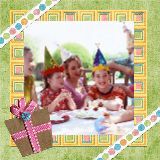 No matter how you like to celebrate your birthday or your family and friends birthdays, we think you will love this Birthday Party Collection from Rainbow7203. This Collection is filled with balloons and candles for birthdays young and old. So, go ahead and have an extra piece of cake to celebrate. Please enjoy this festive Birthday Celebration Collection from Trys. You are never too old to clown around on your Birthday. This Clown Birthday Party Collection is a perfect way to celebrate any Birthday. 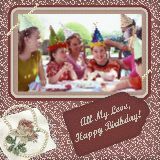 This festive Birthday Celebration Collection from ACMommy28 is a great way to get the party started. No matter how many candles are on the cake…or left off the cake…this whimsical collection is sure to put you in a celebratory mood. 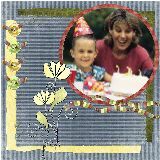 We love to celebrate Birthdays at Scrapbook Flair. So, we couldn't resist creating a collection specifically for our Birthday. 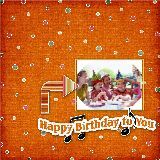 We hope you enjoy this festive Scrapbook Flair Birthday Collection from Sooze. So, feel free to have some cake to enjoy the occasion. Celebrate your Birthday with this chic and stylish Collection from Affair of the Heart. 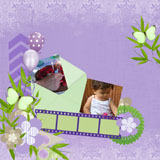 This Shabby Birthday Collection works for any age or gender. So, have some cake and tear into those gifts without trying to save the wrapping paper…unless you are going to put it in your scrapbook of course. This huge Happy Birthday Collection from the Sumners is perfect for any birthday from the very 1st birthdays to the dreaded 'over the hill' parties. So, put on your party hats and get ready to blow out some candles.